Though he’ll probably always be best known for some notorious performance pieces early in his career—notably the one in which he had a friend shoot him in a gallery—artist Chris Burden had a long career of diverse and ambitious work. 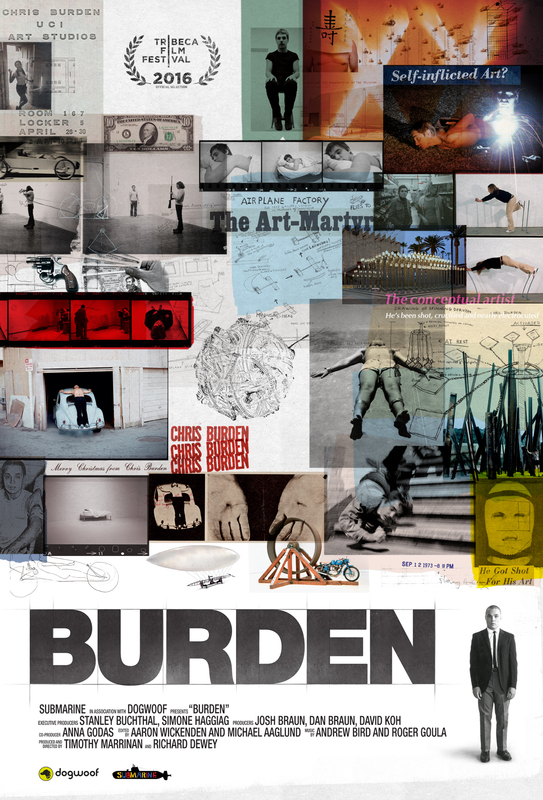 It gets a fitting appreciation in Timothy Marrinan and Richard Dewey’s documentary “Burden,” which like its recently deceased subject is coolly disinclined to foist specific meanings on some still-controversial artistic gestures. Despite (or even partly because of) that diffident air, a portrait of the artist emerges that’s complex, somewhat mysterious, but ultimately quite winning. It should have a healthy fest run before exiting primarily to educational and artscaster shelf life, with minor theatrical exposure possible. SGVC created the graphics and visuals for this feature documentary to which premiered at Tribeca 2016.